UPS Inc. rose the most in almost seven years as international sales surged and the courier’s ambitious investment plans started to win over investors. 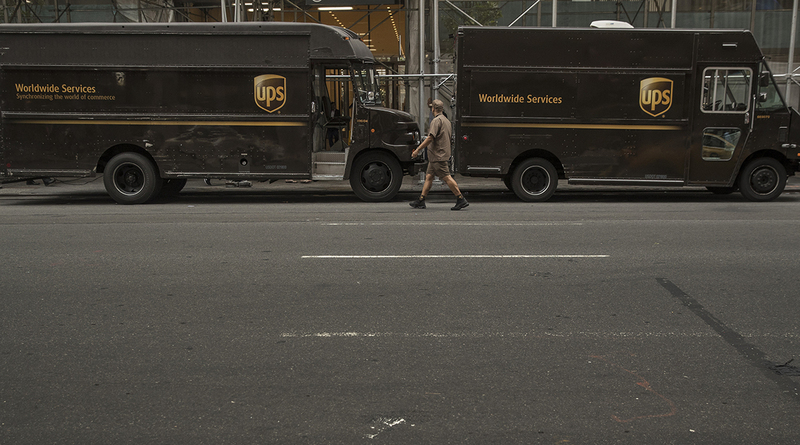 Overseas revenue again posted double-digit growth despite heightened global trade tensions, rising 14% in the second quarter, UPS said July 26 as it reported earnings. That pushed total sales above analysts’ estimates. In the U.S., revenue gained and price increases picked up as the company rushed to profit from the rise of online shopping. UPS is benefiting from strong demand for package deliveries at home and abroad, even with concerns about a slowdown in foreign trade as President Donald Trump imposes tariffs on China, the European Union and other countries. The global economy remains healthy despite the “emerging discord,” UPS CEO David Abney said on a conference call with analysts. “While we expect continued growth in global trade, we’re closely monitoring the changing trade landscape,” Abney said. The shares climbed 6.9% July 25 to close at $120.20 for the biggest intraday gain since August 2011. UPS had dropped 5.6% this year through July 24, while the S&P 500 Index advanced 5.5%.